Most books on strategy focus on external strategy: competition with rivals in business, or overcoming the enemy on the battlefield. This book is different. The authors take strategic thinking and give it a new focus of attention inside your organization. Inside Strategy is aimed at aligned continual performance improvement. 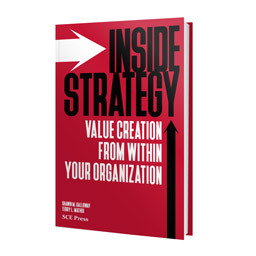 Inside Strategy gives you - and everyone in your organization - a method of managing an unknown future to create new value for your internal and external customers, every day.